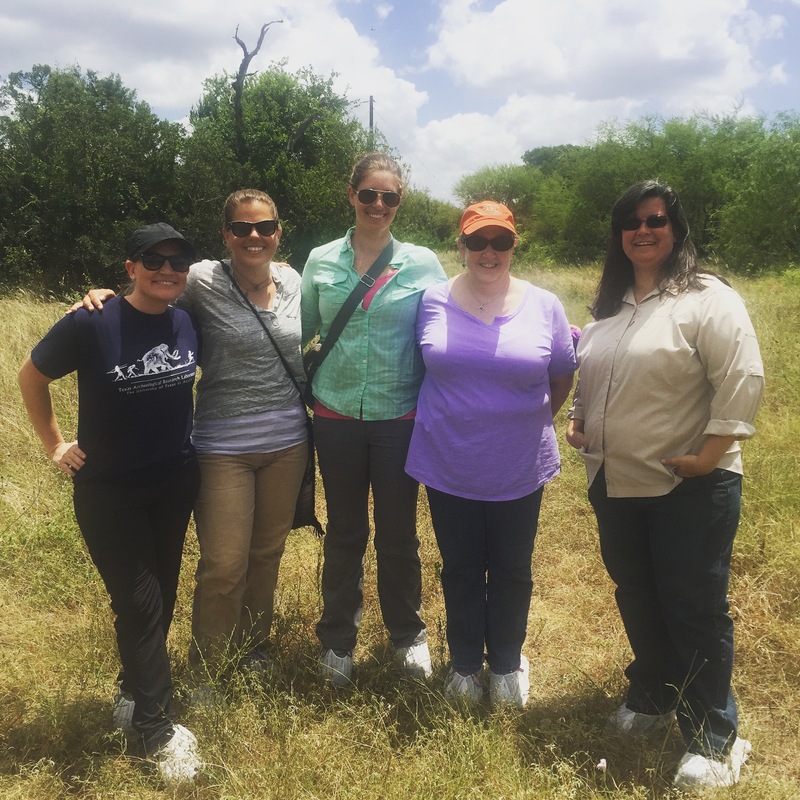 TARL Staff and FACTS researchers Dr. Michelle Hamilton and Courtney Siegert at the Forensic Anthropology Research Facility, Texas State University-San Marcos. Recently some of TARL’s staff members had a unique opportunity to visit the Forensic Anthropology Center at Texas State University—informally known by the public as the “body farm” but referred to as the “decomposition facility” by the researchers—and learn about the amazing research going on there. This facility and its associated labs are the home of some of the most cutting-edge forensics research happening in Texas. A huge thank-you to Dr. Michelle Hamilton, Courtney Siegert, and the rest of the staff and students at Texas State who took the time to show us around and share their research. FACTS and its associated facilities provide training opportunities for law enforcement officers, and they collaborate with outside researchers studying taphonomic processes, recovery methods, and more. They also offer a great training and research program for Texas State students interested in forensic anthropology and bioarchaeology. Much of the research at FACTS uses the remains of people who donate their bodies. Learn more about FACTS and their various programs on their website. One of the most interesting programs going on at FACTS is their Operation Identification or “OpID” program, which works to identify the remains of individuals who have died crossing into Texas from the Mexican border. The OpID staff and students analyze these remains and collaborate with other organizations, including the Border Patrol, FBI, NGOs, and international groups, to match the remains with reported missing persons and eventually return the remains to their families. Since 2013, the program has completed analysis of approximately 100 individuals, with 10 positive IDs made and returned to their families. Although it was heartbreaking to hear the stories of these migrants who perished while searching for a better life, we are humbled by the hard work and dedication of everyone who volunteers their time and effort to contribute to this important work. Find more information on OpID, including volunteer opportunities, through their Facebook page. We at TARL are always glad to have the chance to get out and see what our colleagues and counterparts are doing, so that we can learn about new research and begin new collaborations. Thank you, FACTS and Texas State! Previous PostMystery Cache from the Lower PecosNext PostAnnouncing the Texas Archeology Month Fair! Wow… that sounds like an extremely interesting and yet very sad visit. The deaths at the boarder are horrible and heart breaking. I can not imagined being buried without any of my relatives knowing about my death. Does FACTS also determine the cause of death? If yes, what is the most common cause? And can one do anything about it?